Travelling to the park was pretty straight forward and I went with my usual mobile equipment. 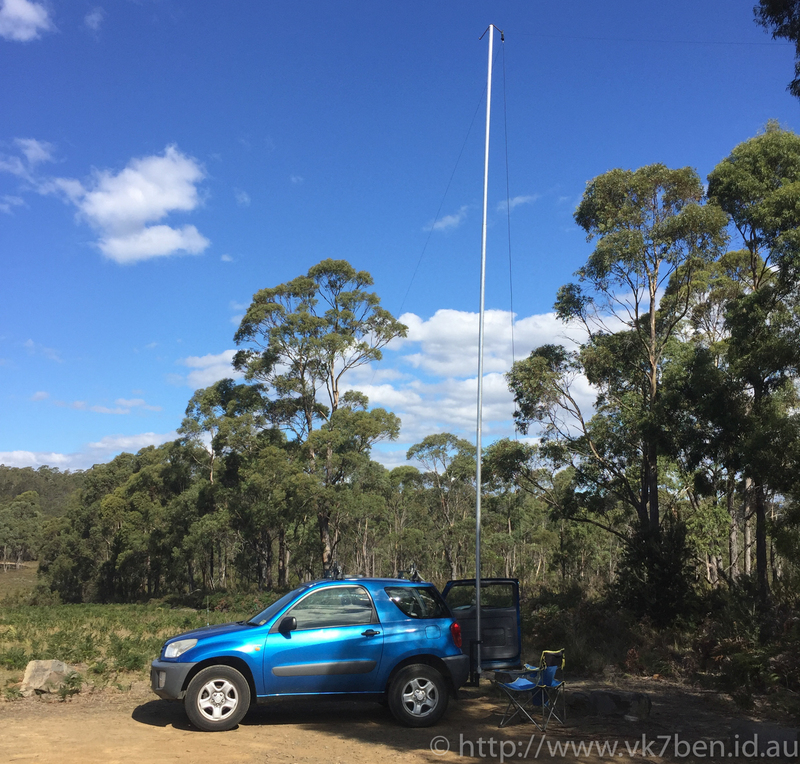 Upon arrival and assessing wind conditions I decided to go to 9m on the mobile mast and use the recently repaired multi-band wire antenna. Having recently acquired a wattmeter off eBay I could now monitor the car battery to ensure that after a day of operation I could drive home! 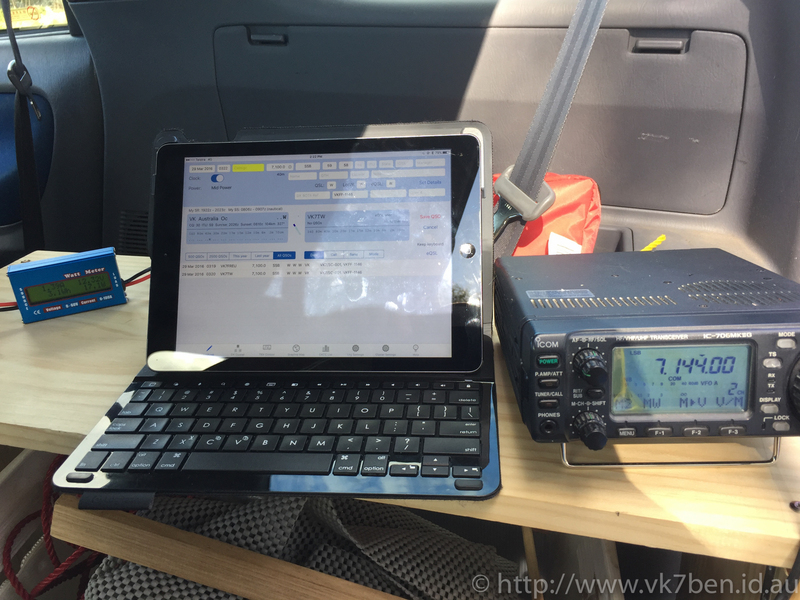 IC-706MkIIg using iPad with logging software. At this point I thought my day was over. 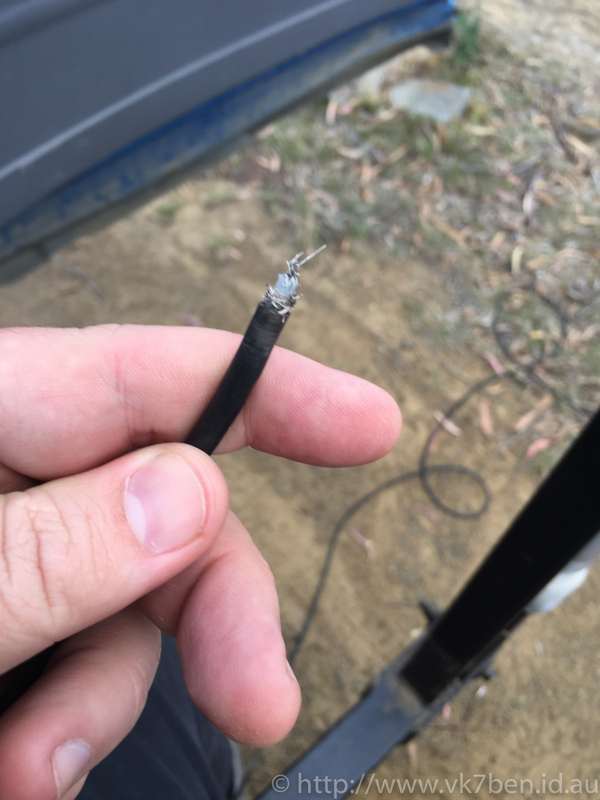 However not one to give up I played the gambler’s “What If?” card and after cleaning up the end a bit, stuffed the coax back into the connector and tentatively plugged it back in. Signals came up so I gingerly hit the PTT. SWR was low! Talk about luck! I then went on to complete the activation with this “special” setup. It was really pleasing to hear the number of DX Stations telling me that they don’t hear many VK7 WWFF entities on the air and that it was great to see me activating the location for the first time. hearing all this has really encouraged me to do more activations. Having people spot me and then do what they could to get people to contact me as I got close to the WWFF Activation total of 44 was just fantastic and I thank everyone who went to the effort of helping me. In the end, it looks like I ended up with 48 QSOs, including some park-to-park and park-to-sota. Again this reminds me that since I came back to the hobby there are just fantastic activities that are available to do! Stuffing the Smoke Back In! 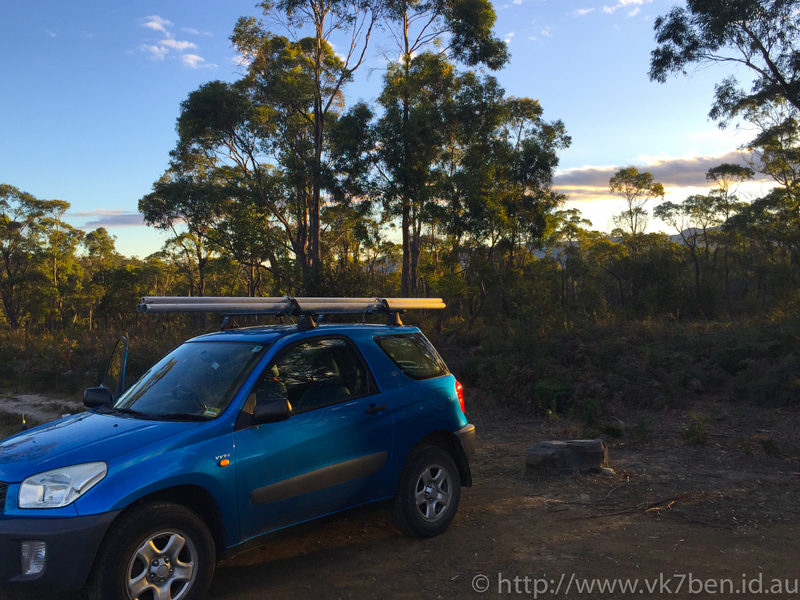 It was a pleasure to work you ‘park to park’ from the Kelvin Powrie Conservation Park VKFF-0899. You had a nice signal on 40m. And then a bit later from my mobile as well when I was in western Victoria. Don’t forget to send me your log so I can upload it to WWFF Logsearch.